When it comes to transmissions and transaxles, TEAM Industries understands the needs of our customers, and our customers’ customers. 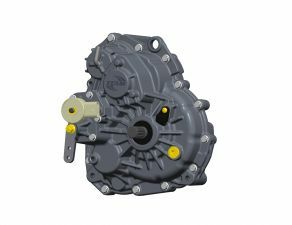 We have been designing and supplying small vehicle transmissions for more than 30 years and currently supply nearly 200,000 transmissions and transaxles to the recreational and utility vehicle markets annually. Much of our success with these components can be attributed to our deep understanding of the vehicles and their uses. TEAM’s design and engineering staff have the training, experience and resources to take a client's concept and turn it into a functioning prototype for hands-on review – fast. To the customer, this means more accurate models, less time spent in development and better, more cost-effective results. Although many of our transmissions and transaxles are proprietary to the customers who commission the designs, some designs are available through TEAM’s Aftermarket Division. Contact Us for additional information.